Yucca Mountain Radiation Standards — The Energy Policy Act of 1992 requires Environmental Protection Agency (EPA) to develop standards specifically for the Yucca Mountain site. EPA's standards are designed to protect the public and the environment from exposure to the radioactive wastes that would be stored in the repository. In 1992 the U.S. Congress directed EPA to develop standards for a Yucca Mountain facility, based on the scientific findings and recommendations of the National Academy of Sciences (NAS). EPA subsequently issued these standards in 2001. In July 2004, the U.S. Court of Appeals ruled that the compliance period of 10,000 years in the 2001 EPA standards was inconsistent with the recommendations of the NAS, which stated that the compliance period should cover the time of peak dose. According to NAS, peak dose might occur several hundred thousand years into the future. In August 2005, EPA unveiled its new rule, which includes a two-part standard. Under the new rule, the surrounding population cannot be exposed to more than 15 millirems of radiation for up to 10,000 years. After 10,000 years and up to the one million year mark, the exposure limit is raised to 350 millirems. In October 2005 the EPA held several public hearingsi in order to collect public comments on its revised Yucca Mountain radiation standard. 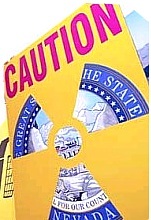 Both supporters and critics of the radiation standard turned out to voice their concerns at a series of five hearings held in Amargosa Valley (NV), Las Vegas, and Washington, D.C. The final standards and related information are now posted on EPA'a website. Of note, Eureka County, Nevada (i.e. YuccaMountain.org) submitted written comments on the draft rule stating that, “The (EPA) rule should be written to protect public health and safety rather than to accommodate the many flaws [at Yucca Mountain] and the site’s inability to contain the radiation.”EPA subsequently amended its final standards on September 30, 2008. Individual-Protection Standard — The individual-protection standard sets an overall dose limit of 15 millirem per year for residents living in the vicinity of Yucca Mountain during and up to 10,000 years after the repository closes. The overall annual dose limit takes into account exposure through all pathways. After 10,000 years through the period of geologic stability (out to 1 million years) the individual-protection standard is set at 100 mrem/yr. Human-Intrusion Standard — The human-intrusion standard sets a dose limit of 15 millirem per year during and up to 10,000 years after the repository closes. It takes into account releases caused by a borehole going through a waste container and into the underlying ground water. After 10,000 years through the period of geologic stability (out to 1 million years) the standard is set at 100 mrem/yr. Groundwater Protection Standard — The original groundwater protection standards provide the same dose and concentration limits as EPA's drinking water standards. EPA included this standard to protect the aquifer underlying Yucca Mountain as a resource for future generations. It was also included so that the standards would be consistent with the Agency's national policy for the protection of ground-water resources.